You'll be £4.99 closer to your next £10.00 credit when you purchase Defiant and Dismasted at Trafalgar. What's this? Born in 1762, William Hargood's naval career spanned over 30 years, as he rose from humble midshipman to the captain of one of the most powerful warships of the day at Trafalgar. Britain was hardly ever at peace during those troubled times. During his career Hargood became a close friend of Admiral Lord Nelson and shared many an experience and triumph with him. 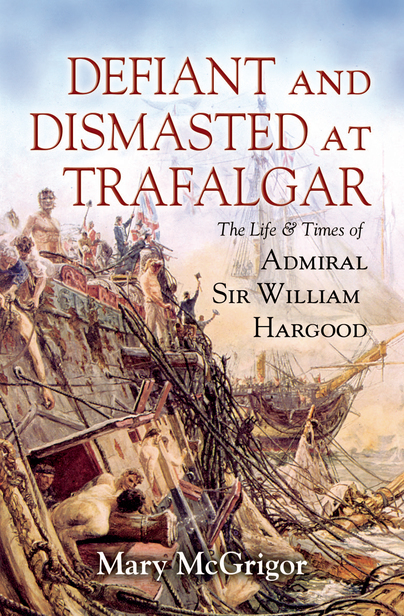 Hargood's Belleisle was dismasted in the thick of action at Trafalgar but never sunk.